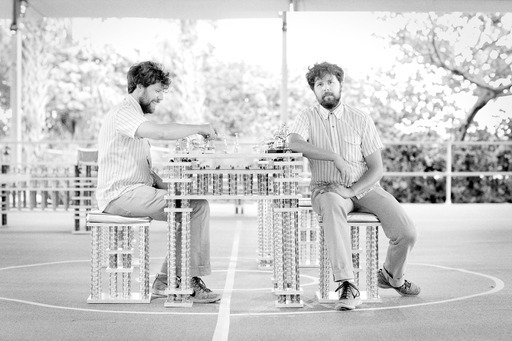 MIAMI, Dec. 3, 2013 /PRNewswire/ — On Wednesday, Absolut will officially unveil its latest Art Bar installation, known as “Night Court,” produced in collaboration with artist Ry Rocklen. 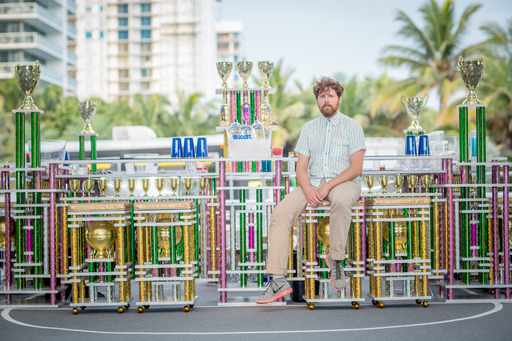 A center of nightlife and entertainment for attendees of Art Basel in Miami Beach, Night Court is the most recent and most extensive manifestation of Rocklen’s “Trophy Modern” collection, and features furnishings including a bar, bleachers, ping pong and chess table made from Rocklen’s signature trophy parts, all set atop a life-sized basketball court at Oceanfront, Miami Beach. Embodying Absolut’s Transform Today™ spirit of inspiring the power of creation, Rocklen’s Night Court examines the culture of competition, creating an innovative art experience for attendees where viewers become both spectator and spectacle among Rocklen’s thousands of trophy parts. A core component of the installation is Rocklen’s collaboration with cutting-edge artists and mixologists to create a variety of interactive experiences to take place each day and night at Night Court as part of Absolut’s associate partnership of Art Basel. Night Court will feature exclusive performances from world-renowned artists as well as live DJ sets each night. Musical performances include DJYSL, Yung Jake and Mykki Blanco. 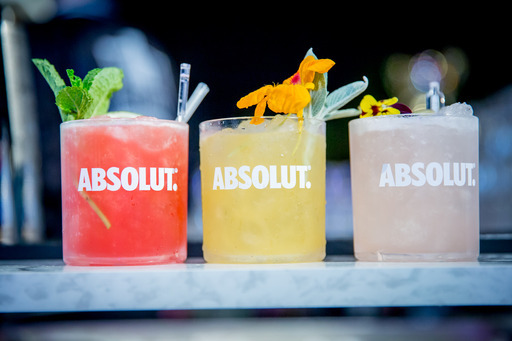 Attendees are invited to join Absolut for a showcase of Miami’s best Bloody Marys featuring unique recipes by a team of local mixologists. Absolut’s Art Basel activations and collaborations are another example of the brand’s Transform Today mantra and spirit. A recently launched global call to arms, Transform Today underscores the brand’s ethos of pushing creative boundaries to transform the ordinary into the extraordinary. Creating art driven experiences at the world’s premiere international art show is a natural for the brand given Absolut’s rich 30-year history with the arts. Since Absolut’s first Andy Warhol ad to collaborations with globally renowned artists, Absolut continues to foster and support the arts with creativity ingrained in its DNA.